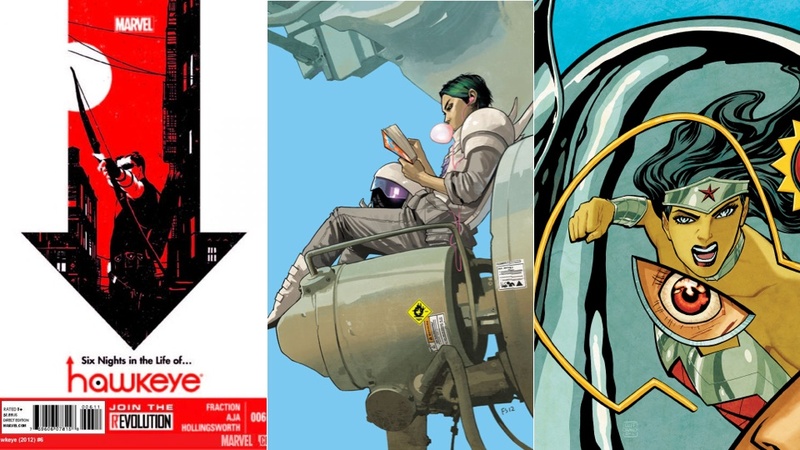 It's time to have a look at some new and incoming comics that are worth our attention. Be sure to chime in with the books you'll be picking up or that you think everybody should be reading in the comments. Wonder Woman #15 Jack Kirby's Fourth World mythology stands as the biggest contribution made by the King of Comics to the DC Universe. 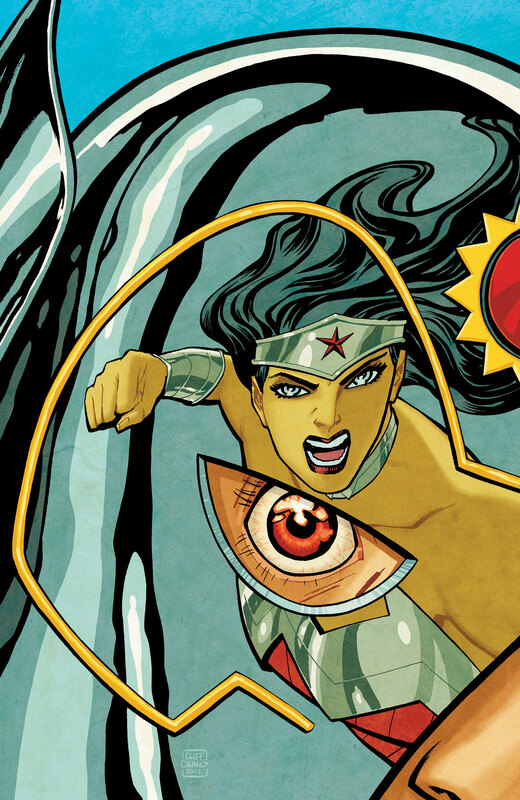 That strand of quasi-religious adventure begins to weave its way into the New 52 reboot with this issue of Wonder Woman. Writer Brian Azzarello and his various artist partners have given us a take on godhood that's been quirky and melodramatic. I think Kirby's cosmic deity characters might find a great interpretation in the hands of Wonder Woman's current creators. Hawkeye #6 The solicits for this issue promise some interaction with the Avengers, which has been a part of Clint Barton's life that's been absent from this title. It's going to be great to see how writer Matt Fraction will handle the collision of Marvel's big super-team into the more down-to-earth but still dangerous milieu where Hawkeye happens. Also, more art from David Aja. Always a great thing. Saga #8 You get along with your in-laws? Yes? Good for you. Not every body does, though, and the tension that arises from suddenly being related to people because of someone you love can be incredibly stressful. It's that stress — something that thousands of people deal with — that's making the current story in Saga so good. It's no bad enough the series' leads come from warring cultures. They're also trying to raise a baby while being hunted by various different factions. And that baby? Kidnapped by grandpa. Maybe you don't have the worst in-laws in the universe.